Fun & Inspiration How to Change Your Thinking from Negative to Positive and Transform Your Life! 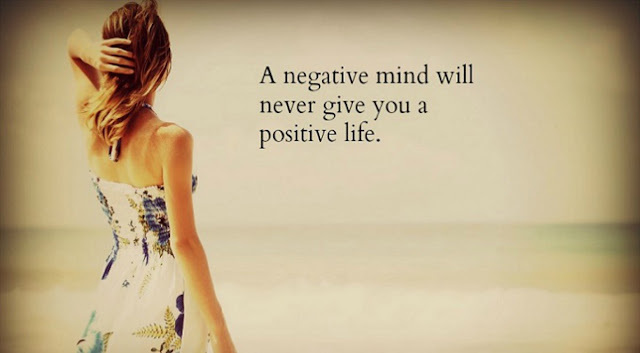 How to Change Your Thinking from Negative to Positive and Transform Your Life! It is a well-known fact that the human heart and mind don’t thrive in any negative environment. In case you get advice seeking to “change your life for the better,” it’ll often include encouragement towards positive thinking. Positive thinking is too powerful as it helps reveal opportunities. Ask 50 people that have dealt with frustrating problems in their lives, and a great number of them will probably tell you it won’t take a lot of effort to change your life. The change they made was small, but they did not pay attention to it as they were busy fighting a war against an imaginary dragon. Positive thinking can make it possible for you to put “change your life” advice into action as well as see the small adjustments and the details that a negative person will miss as they’ve built the issue into a towering imaginary monster. Negative emotions can cause you to stop as well as worry about what will happen next. On the contrary, positive thinking can cause you to explore as well as move ahead since you know that what comes next may be a greater opportunity than the previous one. You may take great strides forward in a short period of time if you see those opportunities as something that may help rather than something that may pose danger. You should be capable of applying the energy from your own positive outlook to take advantage of the opportunities you have encountered in your life. Psychologist at the University of North Carolina at Chapel Hill, Barbara Frederickson, explains that the question you need to ask whenever you face a challenge is “What’s the positive outcome that you want to create here?” According to Frederickson, the positive thoughts need to outweigh the negative ones. Your outlook will be negatively affected if your negative thoughts and emotions outweigh the positive ones. What’s more, Kevin Eikenberry, the Chief Potential Officer of The Kevin Eikenberry Group, associated this positive outlook with leadership. He points out that a leader can’t succeed without some type of positive outlook.